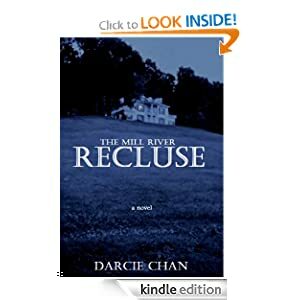 I enjoyed every bit of Mill River Recluse, a story I did not want to stop reading, and a story I did not want to end. Darci Chan is a talented storyteller. As a reader I like to be able to follow the story without struggling for meaning, or dealing with unnecessary passages. This book is not without it's subtleties, but is straightforward prose with terrific characters, great dialogue, humor, unexpected and predictable events. Changes from past to present and back again in narratives are sometimes confusing to me, but not in this case. Chan's scene-time shifting technique is flawless and interesting. The reader learns what is necessary in due time. Without a doubt, Mary, the recluse, is a unique literary character who will be referenced in many future discussions of other characters. Other characters in MRR, especially Father O'Brien, are well developed. Their personalities and activities become important details in fulfilling the essence of the story. Having lived in the Rutland, Vermont area for nearly twenty years, it was a pleasure to read of familiar places Chan describes. I now understand what all the fuss is about concerning Darcie Chan's first best-selling novel.